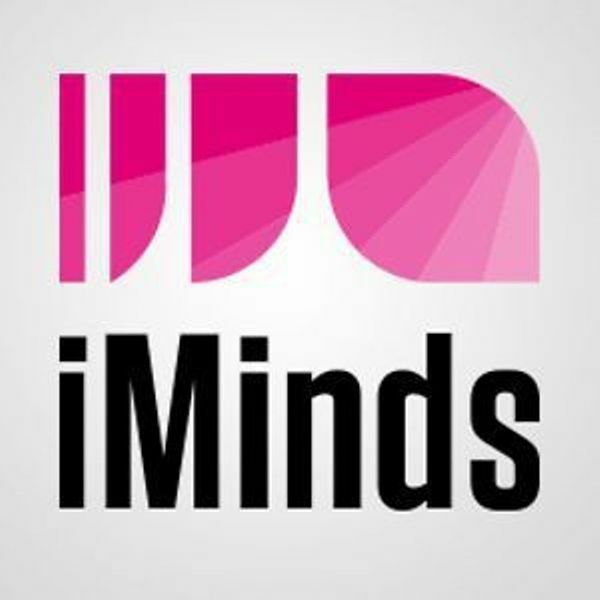 20:15 – Presenation – Prof. Ann Nowé, head of the VUB ARTIFICIAL INTELLIGENCE LAB. Great News – We have reached more than 500 meetup members ! 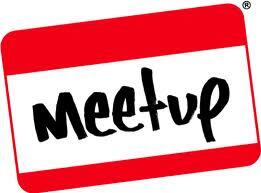 I’m pleased to announce that we have more than 500 meetup members. 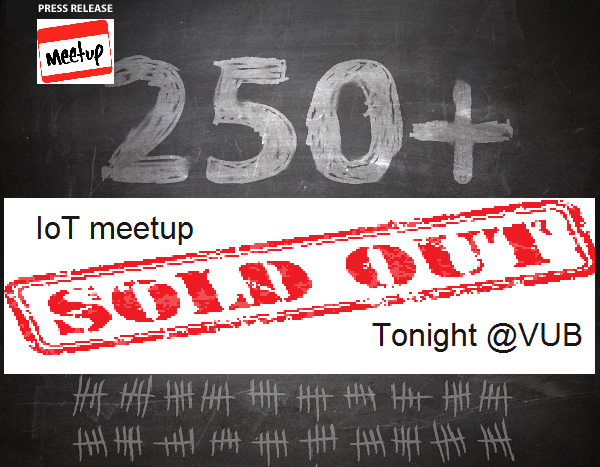 More than 250 experts have registered for our next meetup focused on Internet of Things this Tuesday at the VUB. This calls for a celebration ! Please share this great news. 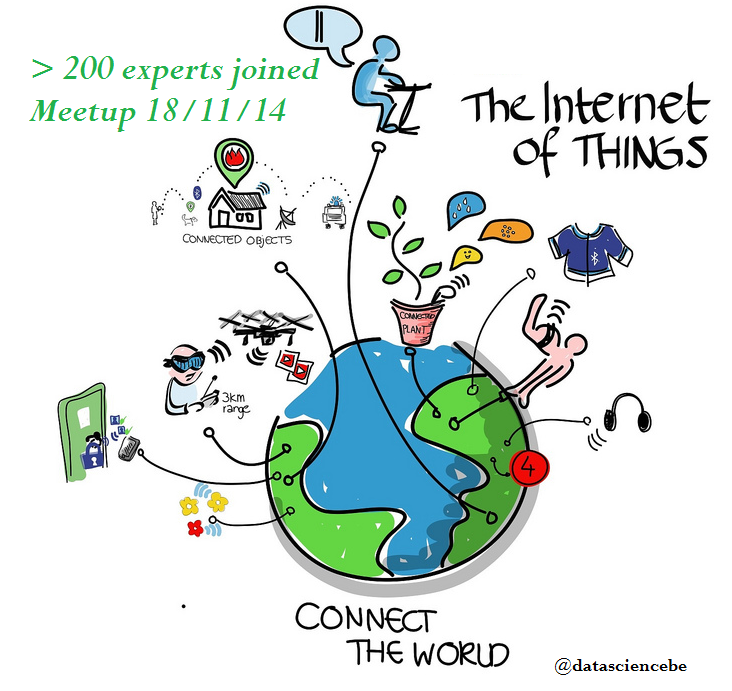 The Belgian Internet of Things Community and the Brussels Data Science Community is happy to invite you to their seminar about IoT analytics that is taking place at the VUB on November 18th 18:30. You are welcome to join more that 200 experts for this exclusive & non-commercial event in Brussels. The IoT (Internet of things) has the potential to transform business. Promising unprecedented connectivity between objects and the gathering of massive amounts of data, IoT will soon deliver significant business benefits to organizations. But how can these organisations prepare themselves and discover what opportunities and efficiencies IoT can bring to them. Already the first projects have delivered positive ROI. Resource monitoring, usage pattern tracking, just-in-time delivery of goods and services — some IoT pioneers have launched or are deploying projects, and they’re seeing positive results. But if your organization is looking to explore IoT as a business strategy, be warned that a number of technical and administrative challenges await you. Here’s a look at the opportunities, hurdles, and new skills required to make the most of this intersection of Web-enabled physical objects and the deluge of data they will bring. At its heart, IoT is a wide-ranging ecosystem of everyday physical objects connected to the Internet, capable of identifying themselves and communicating data to other objects on the network. The concept initially gained traction via the Auto-ID Center, a nonprofit collaboration of private businesses and academic institutions that created a Web-like infrastructure to track goods through the use of RFID tags that carry EPCs (Electronic Product Codes). By Web-enabling just about any type of product or equipment (vehicles, construction equipment, gas and electric meters, appliances, vending machines, and so on) the IoT will allow information about these objects to be captured, resulting in a network of “smart objects” that can actively participate in a variety of business processes. Fueling the IoT revolution is a combination of ubiquitous connectivity, low-cost sensors, and microelectronics that allow almost anything to be connected to the Internet. The greatest enabler of IoT applications for business may be the smartphone, with its ability to optically scan bar codes or RFID tags. IoT presents compelling business benefits, especially for organizations prepared to make the most of its stream of real-time data. Cisco estimates that 50 billion devices and objects will be connected to the Internet by 2020. Yet today, more than 99 percent of things in the physical world remain unconnected. The growth and convergence of processes, data, and things on the Internet will make networked connections more relevant and valuable than ever before. 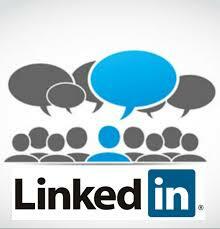 This growth creates unprecedented opportunities for industries, businesses, and people . New business models: The IoT will help companies create new value streams for customers, institute processes that speed time to market, triage market performance, and respond rapidly to customer needs. Real-time information on mission-critical systems: With IoT, organizations can capture more data about their processes and products in a more timely fashion to create new revenue streams, improve operational efficiency, and increase customer loyalty. Diversification of revenue streams: The IoT can help companies create new services and new revenue streams on top of traditional products, e.g., vending machine vendors offering inventory management to those who supply the goods in the machine. Global visibility: The IoT will make it easier for enterprises to see across the business regardless of location, including tracking effectiveness and efficacy from one end of the supply chain to the other. Efficient, intelligent operations: Access to information from autonomous end points, as today’s smart grid already supplies to utility companies, will allow organizations to make on-the-fly decisions on pricing, logistics, sales, and support deployment, etc. Is your organisation ready, are you ? Create a C-level position in charge of identifying and overseeing new digital business opportunities: whether it involves creating a new position (e.g., Chief Digital Officer), or an enhancing an existing one (e.g., upgrading the CIO’s current responsibilities), the executive would be responsible for identifying and pursuing new analysis-driven revenue streams. Develop and continuously revise an executive-team understanding of the new digital landscape for your enterprise: who are the new (and potential) digital competitors? How are you going to cooperate with others in your industry to anticipate and thwart digital disruption? What are the short- and long-term steps you must take to ensure a smooth and timely digital transformation? Design and execute a plan for accelerated investments in digital enterprise technologies and skills: re-allocate resources across the business based on key business initiative, invest in promising data collection and analysis areas, and identify the gaps in talent and skills required for success in the era of the Third Platform. Increased investment in human capital and the new skills required today is the first order of business for all organizations. However, organizations need to invest the time to make sure where and how to start; to drive collaborate between IT and key business executives to understand or envision the realm of what’s possible with respect to these new sources of data and advanced analytics. And organizations need to integrate and/or expand their user experience expertise and capabilities in order to exploit the move to the third platform. Remember: organizations don’t need a Big Data strategy to exploit the digital universe; organizations need a business plan that integrates the data and capabilities enabled by Big Data and the digital universe. Join or meetup on November 18th. Our next meetup will be focused on Internet of Things. http://meetu.ps/2vLNvg . 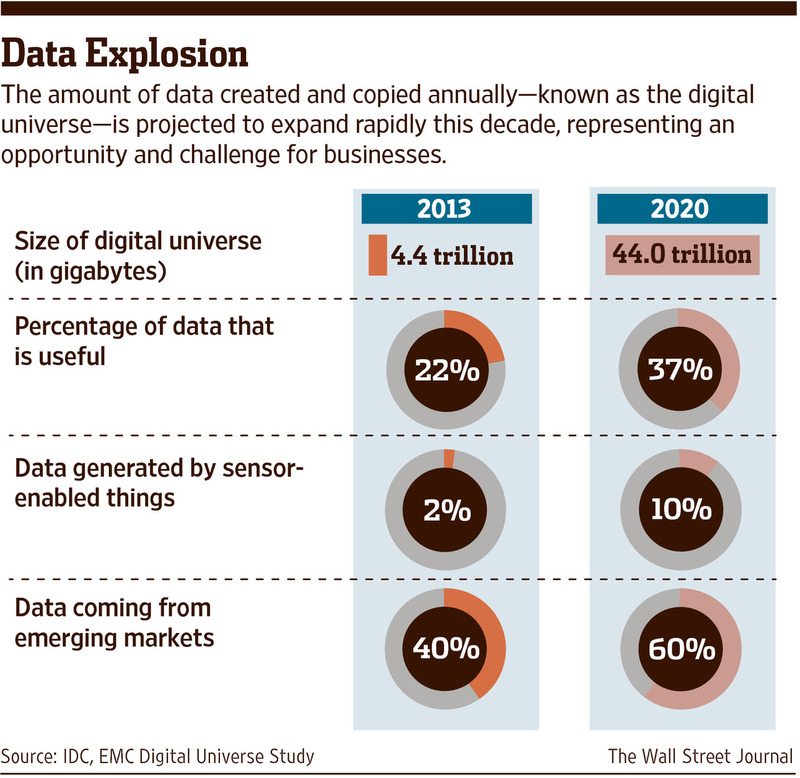 It’s Official: The Internet Of Things Takes Over #BigData As The Most Hyped Technology http://onforb.es/1ricSSH . Here is a nice article by SAS about the subject. The Internet of Things is a growing network of everyday objects – from industrial machines to consumer goods – that can share information and complete tasks while you are busy with other activities, like work, sleep or exercise. Soon, our cars, our homes, our major appliances and even our city streets will be connected to the Internet – creating this network of objects that is called the Internet of Things, or IoT for short. Her the article article by SAS about the subject. 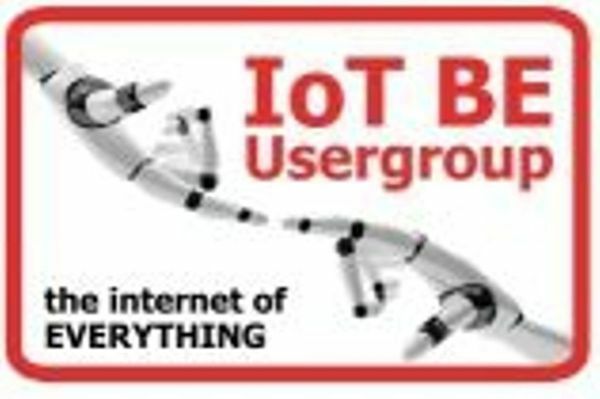 In total >200 professionals have already registered to our next meetup that will be organised together with the Internet of Things User Group of Belgium. Presenters will explain the different concepts of IoT and clarify how datasciences is playing a major role in this revolution. Join us at the VUB on November 18th at 18:30.